“Today, more and more people study further to create an opportunity that will enhance their future. We all have something that we are passionate about, for some it’s our careers, for others it’s a non-career interest, maybe a hobby, a sport or even a part-time home-based business. The point is, further study can turn one’s passion into something more fulfilling – it may even turn one’s passion into a full time business,” says Natalie Rabson, Marketing Manager at Boston City Campus & Business College. Magazine articles praise home businesses of people who have left the corporate world due to retrenchment or a dissatisfaction with their working life, and started up home industries in cosmetics, IT and food production. These people now live fulfilling lives running successful businesses and living their dreams. “Today institutions and learners are adapting their concepts of what a career is to include what was previously thought of as a hobby or an individual skill,” says Rabson. It also doesn’t matter where one’s passion lies, the real question is: do you want to make a change? For example, do you aspire to become a manager and leader in your specific field of interest? A course in Business Management will equip you with the tools to achieve this. Whether based in industry, finance, commerce, or the public sector, the study of Business Management enhances lifelong learning skills and the personal development necessary to run your own business. Emerging from discussions with commerce and industry, a need for a broad encompassing qualification helped Boston establish the Diploma in Business Management. It provides the necessary knowledge to succeed in the business sector, and is designed for those wishing to run their own business or work in an established business. Event Management is another activity that was once considered a hobby or a part of one’s full time job. However, it has now become a fully-fledged career of its own, with various levels of responsibility and earning potential. “In recognition of the extent to which event management has evolved, Boston is thrilled to announce that we are offering a Diploma in Event Management,” says Rabson. “Business awareness, teamwork, creativity, project management and problem solving are all sharpened through the planning and delivery of events, and are key in terms of employability. Events Management will help students develop these skills and understand how they can be applied and transferred into any number of different sectors,” adds Rabson. With the 2010 FIFA World Cup held in South Africa, the hotel and catering industry received a massive boom. It opened the world’s eyes, as well as the eyes of South Africans, to the numerous careers and entrepreneurial opportunities in our hospitable country. “It helped South Africans to think on a bigger scale. That which was previously thought of as a family business, whether a guesthouse or a home-based baking or catering operation – all of a sudden showed great opportunities for sales, marketing, expansion, as well as many other avenues,” says Rabson. A Hotel and Catering Operations qualification is a great study option for business owners who want to become more successful at what they do. In fact, there are many guesthouses, bed and breakfasts and catering businesses run by owners who have passion for what they do. “We are fortunate because we live in a world where we are surrounded by technology. It’s become part of our day to day fibre – whether it’s operating an iPad, a laptop or high-end audio visual equipment – people are becoming technology savvy,” says Rabson. Have you considered using these skills as a career? If you have an added passion for popular culture and the media industry, a course in Video and Television is sure to give you a head start. Graphics and Creative Advertising will also assist business owners in the marketing of their business, as well as in getting the job of your dreams. While not a new career, it is one in which you continually need to upgrade your skills to remain employable. A course in Graphics and Creative Advertising will equip one with all the tools and knowledge to market one’s business through a variety of media, including print, television, point-of-sale, radio, online and outdoor advertising. To read more about these course options and the many others available visit www.boston.co.za , like us on Facebook, or call 011 551 2000. 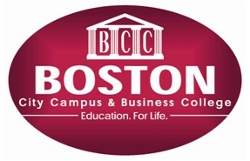 Article issued by Boston City Campus & Business College. To view their profile on SAstudy, click here.